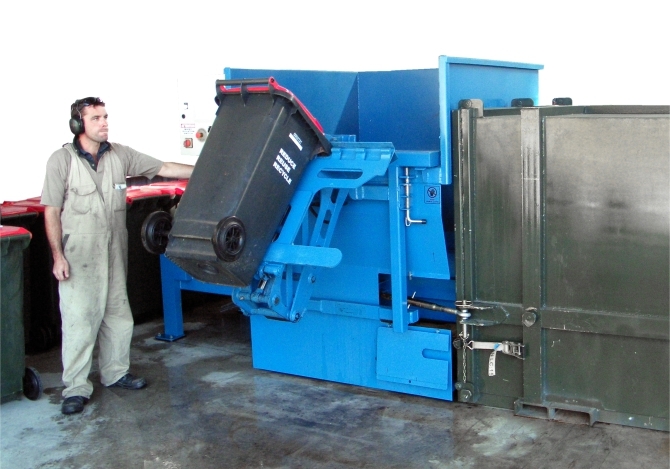 Transfer station compactor for small communities, provincial towns and cities, used to compact solid waste into solid waste containers for transport to landfill. 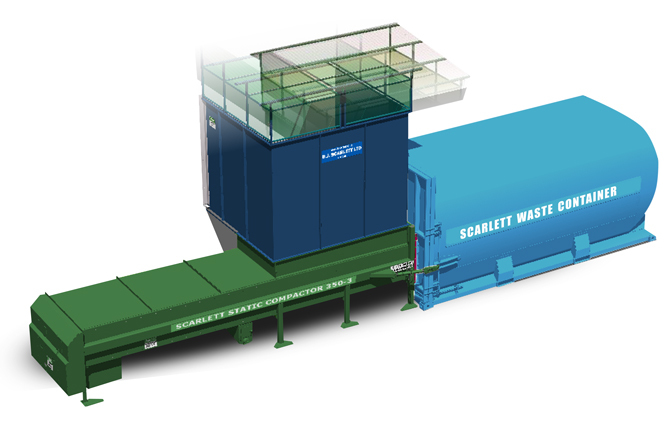 Medium sized compactor 120 that compacts factory solid waste into a solid waste container for transporting to landfill or transfer station. 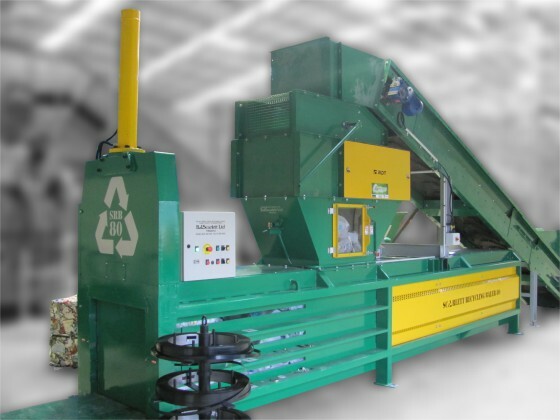 Designed for use in shopping centres used for light duty packing of recyclables mainly cardboard into solid waste containers. 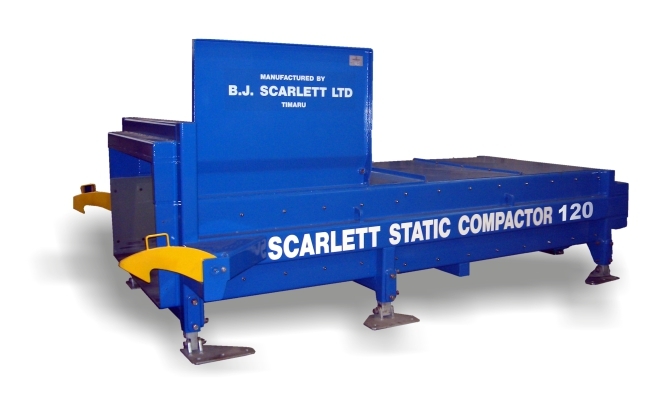 Small compactor that compacts domestic and light industrial waste or recyclables into a solid waste container for transporting to landfill or recycling centre. 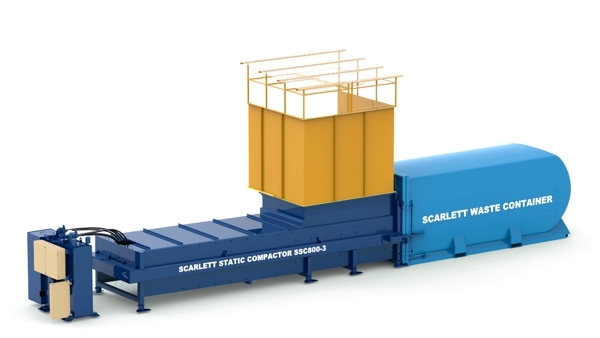 Used for baling all recycling products and can bale large items eg fridge cardboard box, large heaps of plastic film due to the 3m³ infeed pre-press chamber. Commonly used in provincial towns and cities recycling centres. 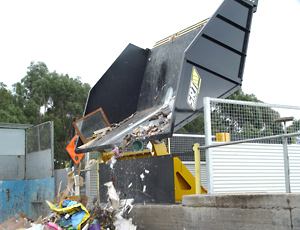 Used to transport compacted solid waste from transfer station to landfill. 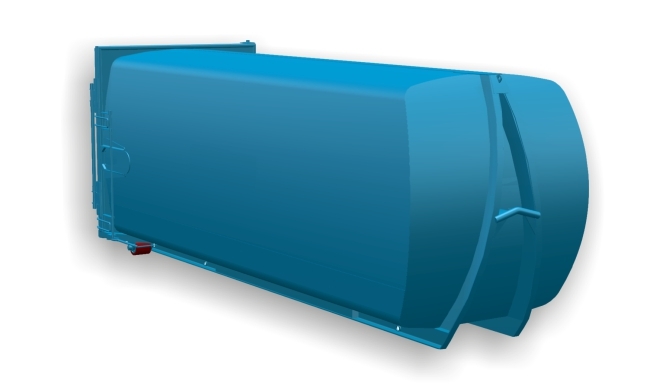 They are fully enclosed for maximum loads and protection of the environment. 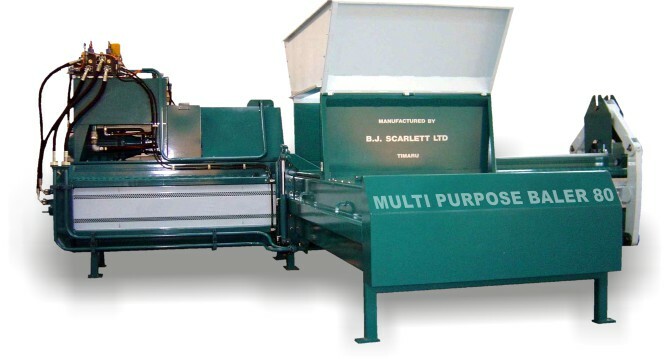 Static Recycling Baler – This is a closed end baler producing bales 750mm x 750mm x1250mm used for baling recyclable commodities plastic bottles; soft drink and milk, beverage and steel cans, size reduced paper and cardboard. 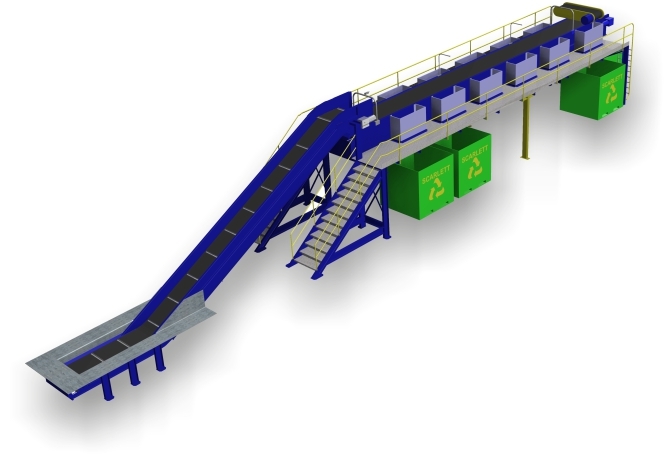 Customisable manual sorting conveyor. 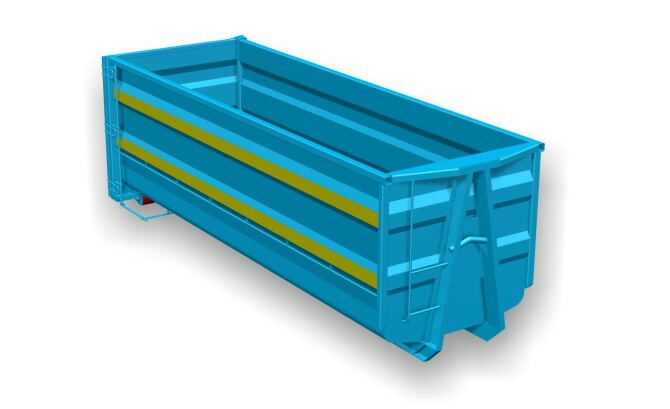 The in-feed pit allows trucks to dump directly onto the in-feed conveyor. Minimising processes and equipment. 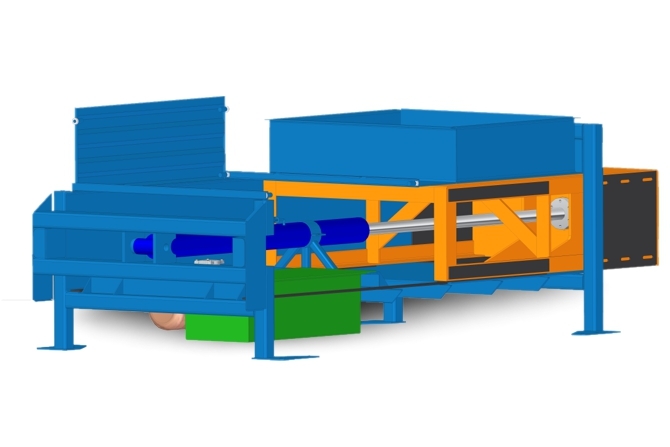 Optional steel sorting magnetic conveyor attachment.